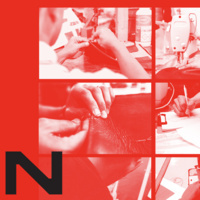 In collaboration with Jeera Foundation, a UN-recognized Indonesian nonprofit, Parsons’ School of Fashion hosts a panel discussion on design approaches to preventing recidivism. The event is intended to deepen our understanding of the social and systemic issues affecting today’s prisons and share publicly an exciting creative partnership with Jeerabag brand, a Jeera Foundation–run program at Cipinang State Jail in Indonesia. As part of the collaboration, Parsons students are designing a Jeerabag bag collection for inmates to produce, which will generate funds to help them improve their lives and thereby reduce recidivism. Panelists include: Mary Crippen (Board Member, Rikers Debate Project), Sajjadur Rahman (Director, Institute for Transformative Mentoring), the UN Office on Drugs and Crime, and the Jeera Foundation. Presented by Parsons’ School of Fashion in partnership with the Jeera Foundation. This event is generously supported by BNI, Medco Energi, and Nomura.